Super Slots casino offers its loyal players a great variety of bonuses and different promotions. If you decide to play your favorite games at Super Slots, you will not be disappointed with the loyalty of the site. Here you can find first deposit bonuses, rewards club, weekly bonuses, VIP plan and pre-paid gift cards. 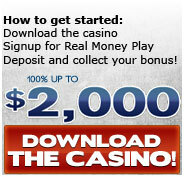 All you need is to register and make a deposit, all other details this online casino will take upon itself. Make your four first deposits using a valid credit card and get 100% bonus up to 500$. Minimum deposit to claim this bonus is 25$. After making a deposit this bonus will be immediately credited on your account. To make a withdrawal you`ll need to accomplish minimum wagering requirements for this bonus 20x (bonus value + deposit value). Move up through six VIP levels gathering VIP points and you will get luxurious incentives. Amber, bronze, silver, gold, platinum, and diamond level will give players ability to get additional casino bonuses for free. Super Slots reserves its customer`s rights to deny any bonus proposals. The VIP Plan at Super Slots casino is a unique incentive program that rewards loyal players with Vegas-styled gifts just for playing online casino games.